Internet scams targeting elderly citizens of USA are nothing new. However, they are increasing at alarming rates, according to various sources. Depending on which source you believe, one in five senior citizens across America fall prey to online scams. Others peg this number at one among every 15 American elderlies. Elderly citizens in US lost a collective $37 billion to various scams and frauds, says a Bloomberg report published in 2018. The figure could be much higher, considering most senior citizens do not report they fell victim to scams. About 10.8 percent senior citizens across USA were targets of frauds, a Federal Trade Commission survey, ‘Protecting Older Consumers 2017-2018’ says. Over 20 percent of American population will consist of senior citizens by the year 2030, the FTC survey adds. These figures are clear indicators that scams and frauds against elderly Americans will rise. There are several reasons why scammers target senior citizens, which we will explore later in this article. If you are senior citizen in the US, here are some scams to beware of. The US Department of Justice explicitly warns against these scams on its website. Identity theft is the fastest growing crime in the US, warns Federal Bureau of Investigation. Identity theft claims over 10 million victims of all ages, including senior citizens, every year, says the law enforcement agency. Senior citizens are more prone to identity thefts because of complacency. They unwittingly part with personal financial information including credit card and debit card number, bank account number, Social Security and Inland Revenue Service (IRS) numbers and other details. Using Internet connection at public places, storing bank details online for future transactions due to poor memory and transacting in public places using smartphone are some causes of identity theft among seniors. Americans have lost more than $75 million since 2013 to scammers impersonating as IRS officers, says the Semiannual Report to Congress submitted in September 2018 by the Treasury Inspector General for Tax Administration. This is the second largest scam that targets senior citizens in the US. The report adds, over 2.4 million elderly citizens fell prey to IRS caller scams. Typically, a fraudster calls an elderly citizen to point out some discrepancy in tax filings. They threaten the victim with dire consequences including jail terms, stiff fines and lawsuits if the money is not paid immediately. They ask for a payment to be made to certain lawyers or other entities to settle the case amicably and in favour of the senior citizen. Over 2. 4 million robocalls were received in the US every month in 2016 alone, according to Federal Communications Commission (FCC). Though FCC chairperson Ajit Pai says the commission is exerting extra efforts to combat these robocalls, tangible results remain elusive. Robocalls usually originate in a foreign country. They enable the caller to remain anonymous. Robocallers promise senior citizens various attractive financial schemes, free vacations abroad and other benefits. And they get senior citizens to part with personal financial details or ask for small sums of money in exchange of some large benefit. About 11 percent of all Americans use online dating websites and apps, says a 2016 study by Pew Research. Among these, some 11 percent Americans in the age 55 to 64 and three percent above 65 use dating apps frequently. Women and men look for sugar babies, romance and casual dating from these paid services. While online dating websites and apps are legit, some profiles are posted by scammers. They target senior citizens, especially those living alone. They exploit vulnerable elderly women and men. 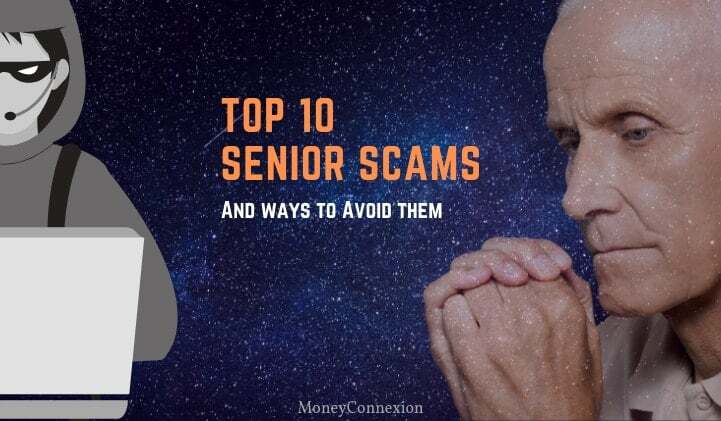 After these scammers gain confidence and trust of the senior citizen, they demand money for various reasons including medical emergencies, education fees and household expenses. The same holds good for fake sugar babies that wean senior citizens into parting with sensitive financial information. More than 3.3 million Americans, including senior citizens fall prey to computer remote support/ remote assistance scams every year, says Microsoft. Scammers spoof Americans to the tune of $1.3 billion every year, the software giant estimates. Prevalence of computer support scams is so high that Microsoft now has pages on its corporate website that provides details, alerts and other information. Typically, a computer remote control starts with a phone call to the senior citizen. Scammers claim to be technicians from Microsoft or some reputed company. They lead victims into believing their computer is infected with malware or can fall prey to a forthcoming ransom ware attack. The fraud caller will offer remote technical support to fix the glitch, for a fee. Unsuspecting senior citizens pay the money, falsely believing their computer and data is at risk. Another common scam is by gaining remote access to a computer of the senior citizen under the pretext of free remote support. Here, the scammer gets hold of your personal data including any saved user names and passwords for bank accounts, IRS and other information, stored credit card and debit card numbers. Upon gaining illegal access, senior citizens find their bank balance drop mysteriously. Credit card bills for purchases never made also arrive on your doorstep. Social Security scams are similar to IRS frauds. Here too, the fraudster impersonating as officer of the Social Security Administration calls unsuspecting senior citizens. These criminals usually ask the elderly to ‘update’ their Social Security details such as account number and other important information. During the call, they subtly get the victim to part with lots of other details including current residential address, bank details and other personal information. This is later used by the scammer to defraud the senior citizen. Criminals are aware about millions of elderly Americans owning homes under mortgage. Hence there are different scams against senior citizens owning homes. Scammers come up with novel ideas to trick the elderly into parting money on some grounds because they are homeowners. Typical homeowner scams include reverse mortgage and tax saving offers, according to National Council on Ageing. They ask for a fee for reassessing value of a property or persuade them to take reverse mortgage using methods from which the fraudster benefits. Death is inevitable for us mortals. Therefore, millions of Americans sign contracts to prepay for funerals and final resting places for themselves and spouses. Obviously, funeral and death are somewhere in the subconscious mind of senior citizens. Scammers claiming to be from funeral homes try and con senior citizens into providing financial information on grounds of updating records. They threaten the elderly with losing the final resting place if records are not updated. Unwitting elderly citizens fall prey to these scams. Sometimes, scammers may ask for more money to keep the final resting place, casket and other funeral preparations ready when needed. They cite inflation as the cause for increasing costs. In addition to those we list above, there are several common scams that target senior citizens in the US. Grandparent Scam: Usually, someone calls up an elderly person and poses as their grandchild. After some trust is created, scammers ask for money citing emergencies. Lottery Scams: You may have never bought a lottery ticket. Yet someone can call saying your email ID or mobile number or something else was entered into sweepstakes or lottery. That you are the winner. These scammers ask for money before they pay out your non-existent winnings. Investment Frauds: Perfectly legit sounding financial institutions offer investment schemes to the elderly that offer very high returns. These financial corporations do not exist and you can lose your entire retirement savings by ‘investing’ in these. Missing Money Offers: You might get calls from impersonators posing as bank or insurance firm officials. They will inform you of money left behind by some vague ancestor while asking you to claim it. They will ask for money to process your claim. Elderly Job Scams: Many retirees want to work for money or to remain busy. Unfortunately, millions of elderly fall victim to job offer scams for retirees. The scammer will ask for placement fees and other expenses but vanish without giving the promised job. One out of every 25 American senior citizen is financially exploited. This sad statistic is seldom highlighted. This exploitation can occur from relatives or even caregivers. Lonely senior citizens, those with chronic medical problems or limited mobility are most prone to financial exploitation. In worse cases, senior citizens have been physically assaulted at home for money. Others bear mental trauma of abuse and need professional care. As I said earlier in the article, we will discuss reasons why scammers target elderly citizens. Federal Bureau of Investigation (FBI) has some of the best answers to this very pertinent question. FBI lists the following reasons why senior citizens are more prone to scams and frauds. The bureau also cautions elderly women living alone since they are more susceptible to fraud calls and visits by scammers. Poor memory and eyesight problems make senior citizens poor witnesses. Hence, a scammer can exploit legal loopholes and evade justice. Senior citizens are very reluctant to report fraud or scam for two main reasons. Firstly, they fear ridicule by relatives and friends. Secondly, most are unaware where to report such scams. The elderly are inclined to buy stuff that promises better health, longevity, libido and anti-ageing properties. Hence, they are open to buy fake stuff despite knowing it may not work. Generally, most senior citizens are considered as well-off, though this is not entirely true, as studies prove. Hence, they are more at risk from scammers. A lot of senior citizens live alone or away from family and friends in popular ‘retirement cities’. Hence, they have no immediate access to advice and help. Scams and frauds can have devastating effects upon the elderly. Therefore, it is essential to report to the local police or file an online complaint with FBI if you find yourself being targeted by fraudsters. Effects include but are not limited to the following. Loss of all retirement savings and bankruptcy. Colossal debt burden caused by identity theft and scammers obtaining fake credit cards in your name. Denial of medical care if a fraudster exploits your account. Loss of Social Security benefits. Psychiatric fallout faced by fraud victims. Health problems due to money shortage and psychological problems. Lawsuits due to illegal activity of scammers you failed to report. Overall decline in general wellbeing. The list goes on further: there are no ends to financial woes that a senior citizen can face by falling prey to frauds. Hence, it is important to report instantly. If you are senior citizen or known an elderly who is being scammed or facing imminent danger from fraud, the first line of action is obviously to report to the police. Additionally, report online to the American Association of Retired Persons or AARP. The ElderWatch resource of AARP tries and ensures no senior citizen falls prey to these scams. The AARP website provides valuable links to various resources where frauds against elderly can be reported to authorities. You can also alert FBI directly. Simply visit the ‘Submit a Tip’ link on the FBI website and fill in exact details. The bureau can contact you for further details and protect you against scammers. Additionally, it brings fraudsters to justice- meaning, you have saved other senior citizens from falling victims. Every American looks forward to retirement or those golden years of life when they can escape routine and enjoy life. However, this dream period can turn into a proverbial nightmare if you fall victim to any fraud that targets elderly citizens. The best way to avoid the trap of scammers is by keeping yourself updated with latest types of scams. FBI, FTC, IRS and other authorities publish a list of such ongoing and new scams and threats. If you are aware, you can stay away from these fraudsters and lead a happy, retired life. 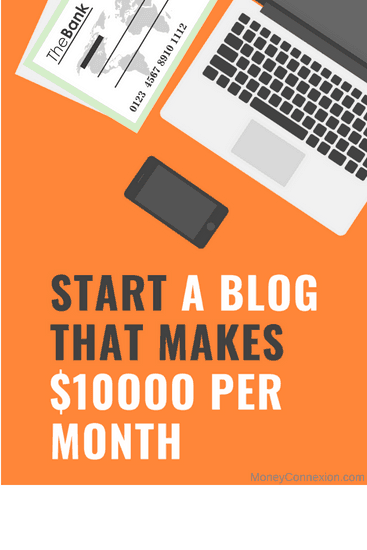 Am very impressed by read your blog content.